Child care, education, games, safety Childcare: How many calories do children need? Children's body requires energy not only for beating of the heart, breathing, digestion of the food & voluntary muscular activity. Children need energy for growth. This energy requirement expressed in calories is obtained chiefly from carbohydrates & fats. 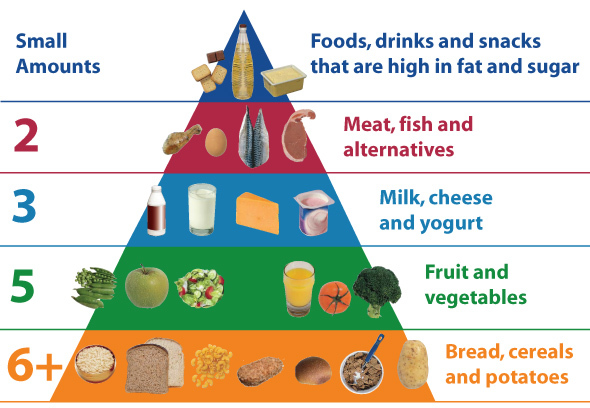 An easy way to find out the daily balanced diet to check the food pyramid. Over the past 10 years there is arise growth of childhood obesity worldwide. Studies show, that children who were born at the start of the 21st century, may have a shorter life expectancy than their parents as a result of the health consequences of obesity. To find out exactly how many calories to eat each day and how much of the different food groups are needed to provide those calories for a healthy diet for ages 2 to 20 years use the Healthy Eating Calculator. 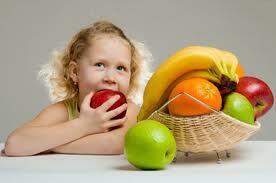 Read more about childhood obesity.